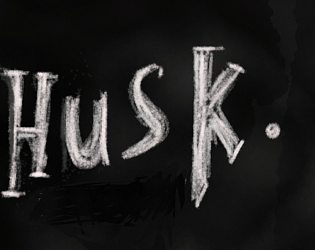 Husk. was going to be a part of a friend's Twine anthology made by a group of people. I wanted to write a Lovecraftian, mystery story closer to my hometown, but something about it didn't work. I was writing during a heavy, anxious and stress-induced writer's block that I couldn't come up with a good way to make it a "game" or complete it properly. I just couldn't get it right. I'd love to see more work set in settings such as Dubai that aren't very well represented. In fact, it would have been cool to see more details about both the setting and the mystery. I enjoyed the atmosphere in this game, and the creativity in the 'husk' character.